Mercy Hospital has free binders!! has many 3-ring binders to give away. The picture above is about 1/3 of what is available. 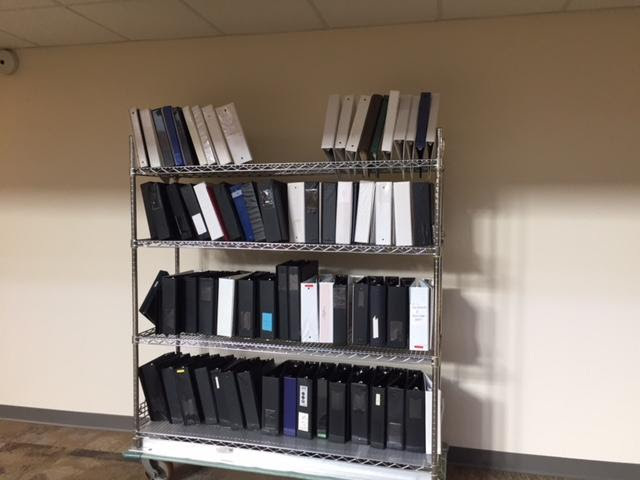 The binders are located on the lower level/cafeteria area of the building. Anyone who wants some can come out and help themselves – we will refill the shelves as they empty. Pictured (front, L-R): Colleen Quick, Mercy Health Foundation board member; Krista Postai, CEO of CHC/SEK; and Daniel Creitz, CHC/SEK general counsel; (back, L-R) Bryan Holt, Mercy Health Foundation treasurer; Chris Petty, Mercy Health Foundation vice chair; and Jason Wesco, CHC/SEK executive vice president. 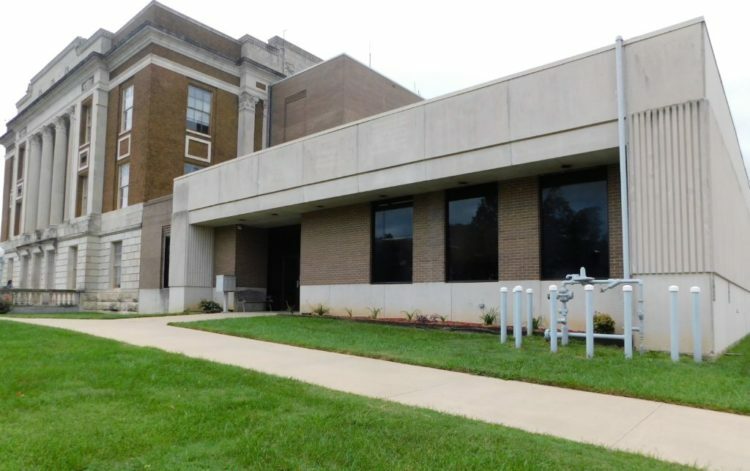 Access to numerous health care services will remain intact following the closure of Mercy Hospital due in part to a substantial donation from Mercy Health Foundation Fort Scott. 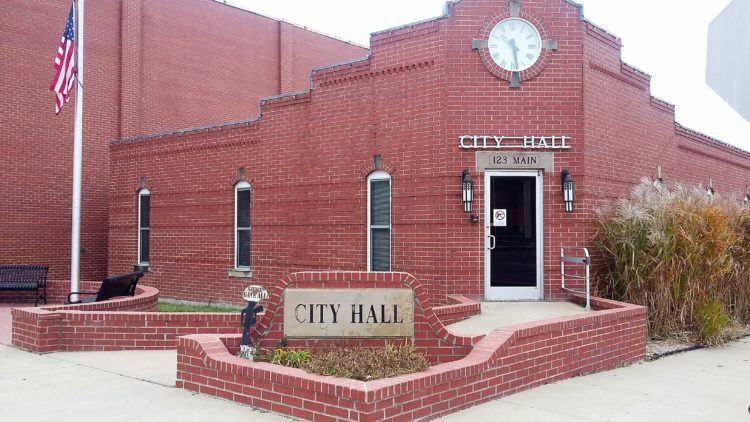 The foundation board agreed to donate $300,000 to Community Health Center of Southeast Kansas to ensure the continuation of essential health care services in Fort Scott and Bourbon County. Mercy Health Foundation board members presented the check for $300,000 to CHC/SEK leadership on Tuesday, December 18. 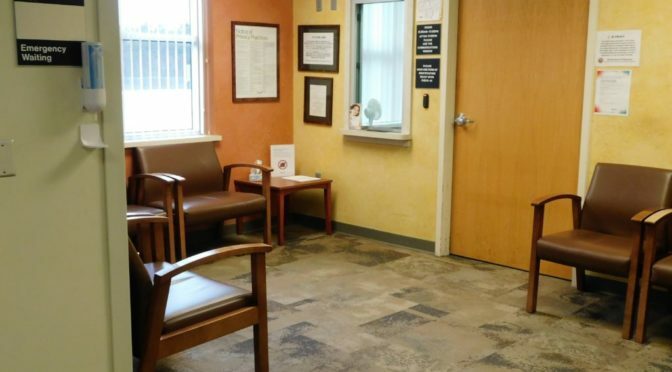 A primary care clinic consisting of Dr. Katrina Burke, Dr. P.K. Gugnani, Dr. Maxwell Self, and numerous nurse practitioners. Convenient Care located at 1624 S. National will also transition to CHC/SEK effective February 1. Hours of the convenient care clinic will remain the same. 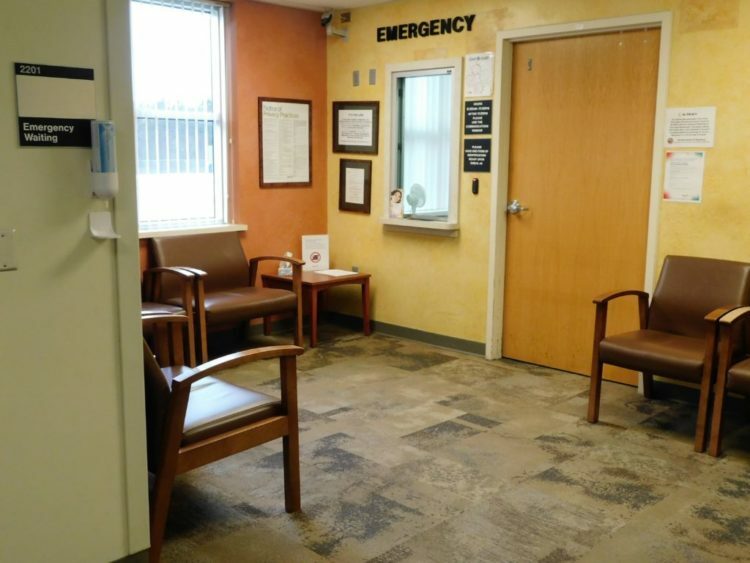 Pre-natal care will continue to be offered with Dr. Larry Seals and Dr. Katrina Burke. Future expansion of services by CHC/SEK which will likely include dental care, behavioral health and transportation services. 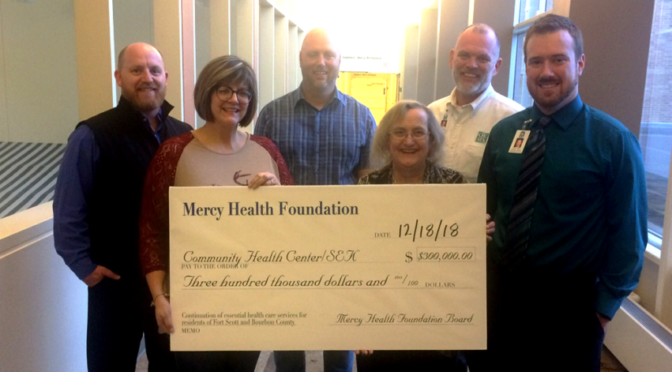 Funds donated by Mercy Health Foundation will assist CHC/SEK with start-up costs associated to support a new electronic health record and documentation system, computers, phones, printers and other business-related devices necessary to manage a clinic. 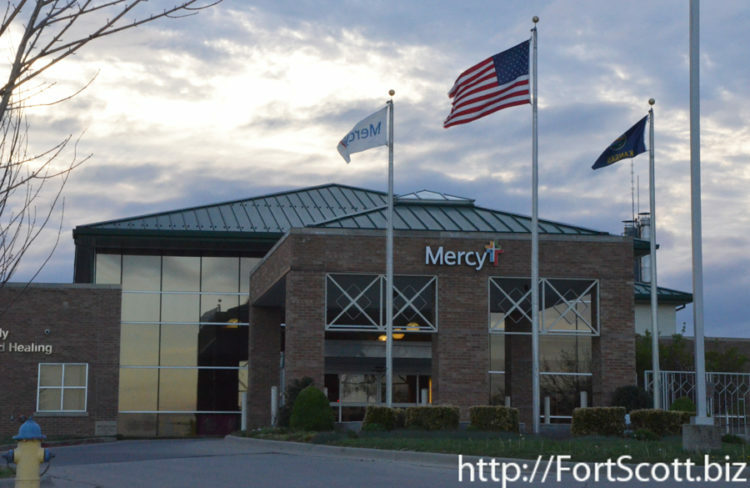 Mercy Health Foundation—Fort Scott, a 501(c)3 non-profit organization, raises money and community awareness for Mercy Hospital. It is dependent on the support of individuals, corporations and foundations to help Mercy meet community health care needs. Mercy Health Foundation invests its philanthropic support in facilities and the advancement of technologies and programs to enhance Mercy’s ability to provide excellence in health care. For more information, visit mercy.net/giving. 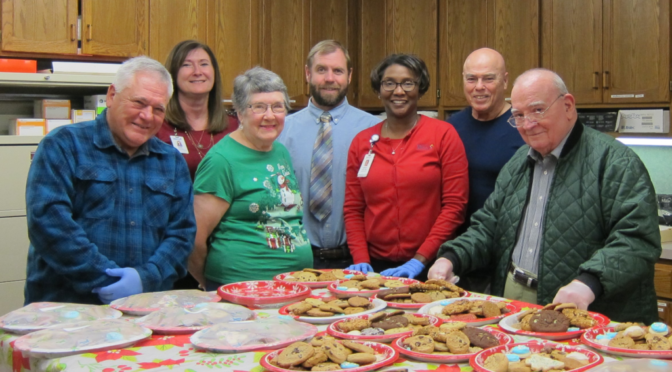 Every December Mercy Hospice volunteers take time out of their schedules to give back by baking cookies and making cookie trays for the patients that are served by Mercy Hospice. Since July of 2012 Mercy Hospice has served patients and families within a 50-mile radius needing end of life care. Each December volunteers take time to bake and or purchase cookies and prepare cookie trays. All kinds of cookies from no bake, sugar, snickerdoodle, oatmeal and chocolate chip to name a few that are brought in to make a great assortment for the cookie trays for our patients and families. This year, 57 dozen cookies were donated. Along with the cookies, patients are given a blanket and a copy of the holiday edition of The Daily Bread. When delivered. “This is one way that all of our volunteers can participate and give back to the patients,” said LaShawn Noel, Volunteer Coordinator and Social Worker. Mercy Hospice is always looking for volunteers age 18 or older. If anyone is interested in becoming a volunteer or would want more information they can contact Mercy Hospice at 620-223-8090 or volunteer Coordinator LaShawn Noel at 620-223-8532 to learn more. 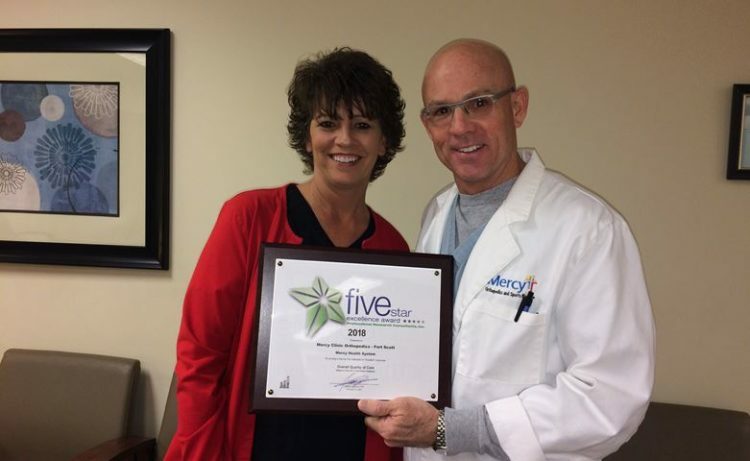 Stephanie Hinton, medical assistant III, and Greg King, orthopedic nurse practitioner, received five-star honors for patient care. 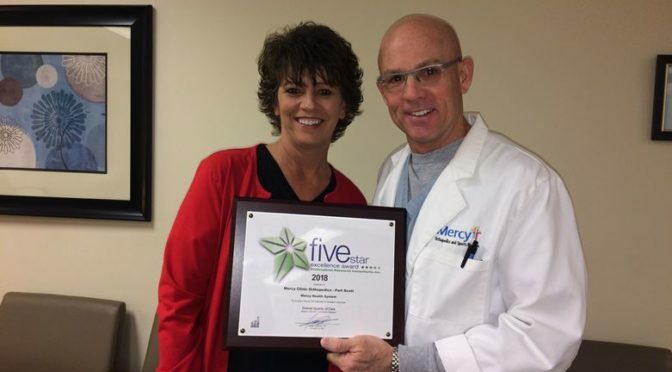 Mercy is pleased to announce Greg King, orthopedic nurse practitioner, plus the Mercy Clinic Orthopedic team of King and medical assistant III Stephanie Hinton, have earned the Professional Research Consultants, Inc. (PRC) Five-Star Excellence Award for Provider Services and Overall Care. 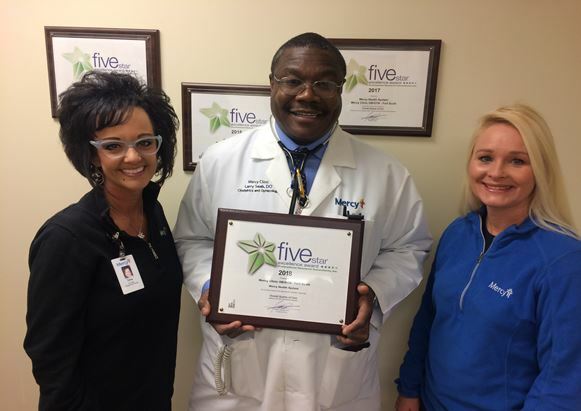 The five-star award ranks King and the orthopedic practice in the top 10 percent nationally for “excellent” responses in patient satisfaction surveys. 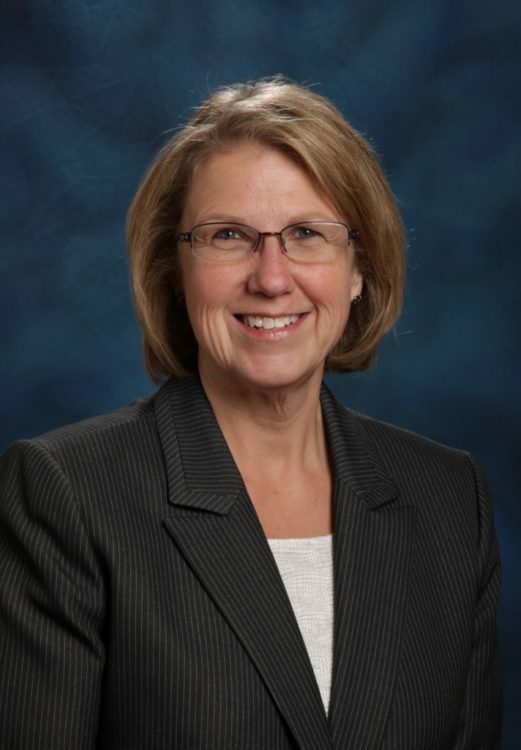 As nurse practitioner, King offers orthopedic evaluations, joint injections, sports medicine treatment, fracture casting and care, as well as emergency department coverage. For the fourth consecutive year, Trina Arndt, RN; Dr. Larry Seals, OBGYN; and Crystal Roberts, RN; rank in the nation’s top 10 percent through patient surveys by PRC. Forget about a three-peat: Dr. Larry Seals and his team take it another level. 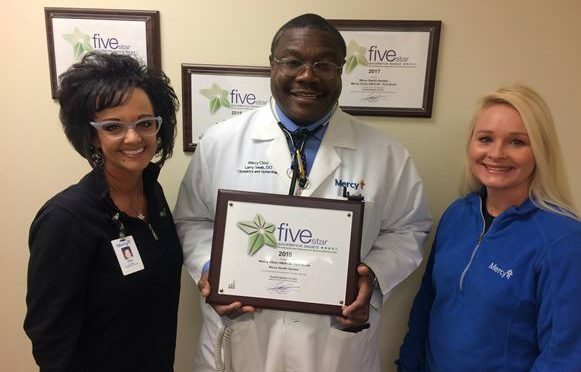 For the fourth consecutive year, Seals and the Mercy Clinic Fort Scott OB/GYN team have earned the Professional Research Consultants, Inc. (PRC) Five-Star Excellence Award for Provider Services and Overall Care. Once again, Seals has been recognized for scoring in the top 10 percent nationally for “excellent” responses in patient satisfaction surveys. Like a legendary sports teams, consecutive awards take commitment and hard work. Going into his 32nd years in practice – and thousands and thousands of beautiful babies delivered in his hands – Seals gives all the credit to teamwork. “I’m happy because my nursing staff does a great job of treating patients with superb clinical skill and unmatched compassion,” Seals said. 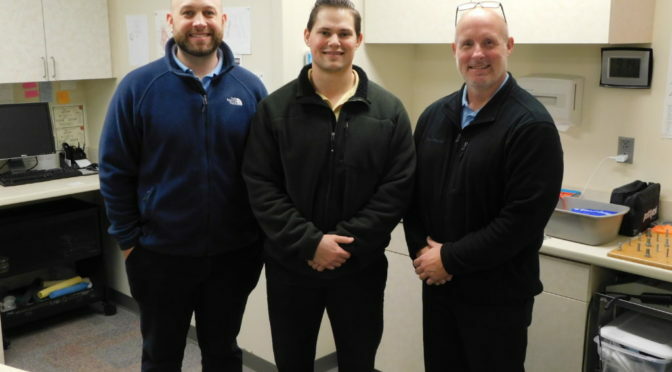 Seals attributes his practice’s success to putting patients first. 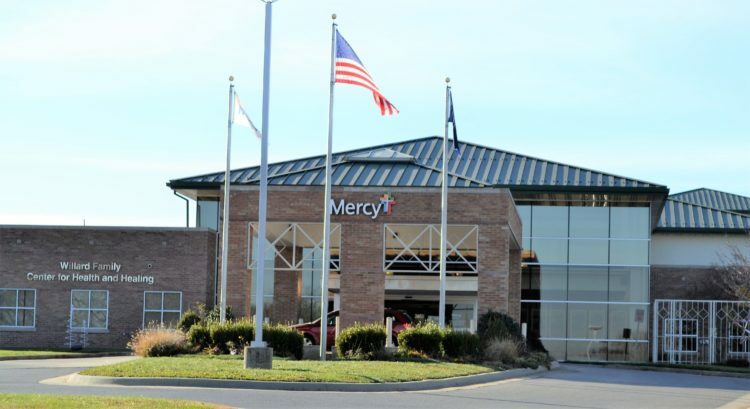 Patients who cannot afford a mammogram because they are uninsured or underinsured will benefit from a $3,000 donation from Mercy Health Foundation Fort Scott. Between now and Dec. 31, 2018, patients who are due for a mammogram and have not received the screening are encouraged to take advantage of this offer at Mercy Hospital Fort Scott. Funds donated by Mercy Health Foundation are used to provide mammograms and breast imaging for patients who meet certain criteria such as those not insured, or insured but their coverage does not include mammograms. Funds are available on a first-come, first-serve basis. For more information about digital mammography or to schedule a mammography appointment online, visit mercy.net/ScheduleMammo or call Mercy’s Imagining Services at 620-223-7015. Current Mercy Clinic patients who plan to transition health care services to the new Community Health Center of Southeast Kansas (CHC/SEK) located in either Fort Scott, Arma or Linn County, are required to complete a release of medical records to transfer documents. This will allow past medical records to be uploaded into the CHC/SEK electronic health records so providers can view a patient’s medical history once they are seen as CHC/SEK patients. 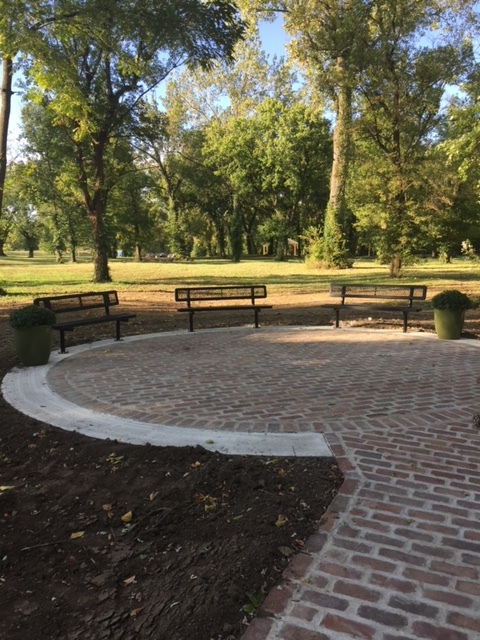 Mercy Home Health and Hospice has collaborated with the Fort Scott Riverfront Authority Board and the City of Fort Scott to build a memorial patio for hospice patients near the walking trail at the Riverfront Park on North National Avenue and Maple Road in Fort Scott. 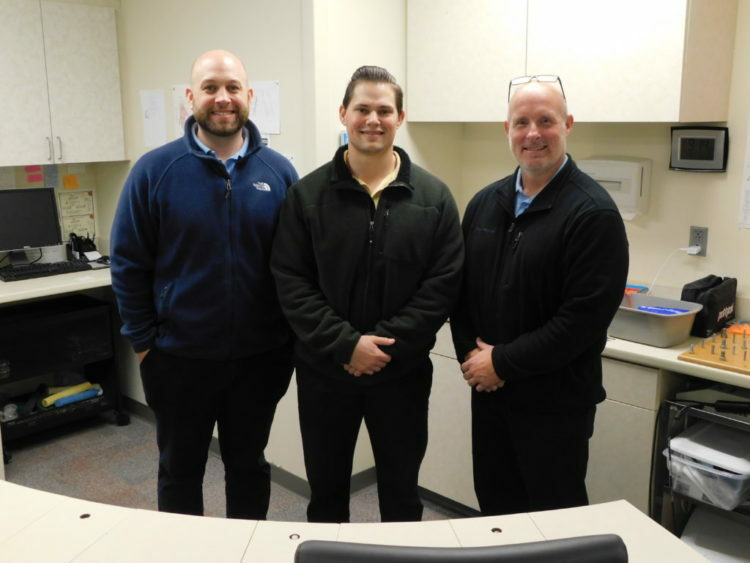 “The project came about as a way to honor patients and families that Mercy Hospice has served since we opened in 2012,” said Tabitha Stults, community relations coordinator for Mercy Home Health and Hospice. Plans for the memorial patio began in April of 2017 as part of the Mercy Hospice fifth year anniversary celebration. Eighteen months later the project is complete and ready for the next phase. 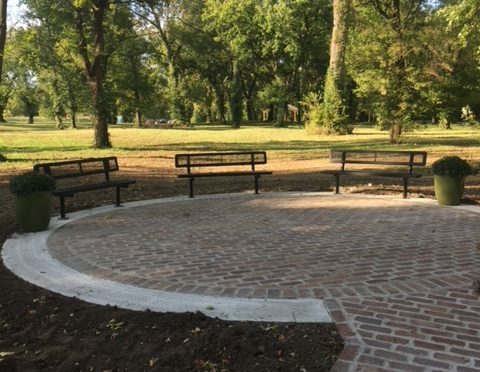 All the brick have been recycled from the City of Fort Scott. To learn more about purchasing a brick to honor loved one, please contact Melissa George or Tabitha Stults at 620-223-8090. Mercy, named one of the top five large U.S. health systems in 2018, 2017 and 2016 by IBM Watson Health, serves millions annually. Mercy includes more than 40 acute care and specialty (heart, children’s, orthopedic and rehab) hospitals, 800 physician practices and outpatient facilities, 44,000 co-workers and 2,100 Mercy Clinic physicians in Arkansas, Kansas, Missouri and Oklahoma. Mercy also has clinics, outpatient services and outreach ministries in Arkansas, Louisiana, Mississippi and Texas. 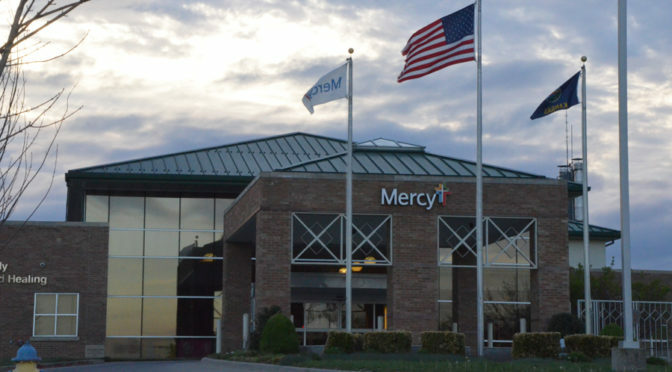 In addition, Mercy’s IT division, Mercy Technology Services, supply chain organization, ROi, and Mercy Virtual commercially serve providers and patients in more than 20 states coast to coast. supply chain organization, ROi, and Mercy Virtual commercially serve providers and patients in more than 20 states coast to coast.